Review: The kids spend a weekend with Grandma and I can’t stop eating out! 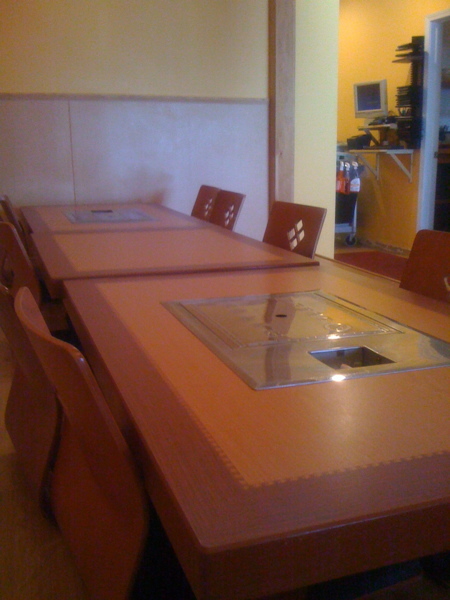 I decided that sans kids, I was going to eat at new places, especially places that I wouldn’t go with the little ones. 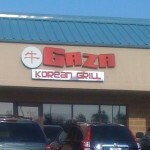 In my quest to find somewhere new, I ran across some reviews for a restaurant named Gaza Korean Grill that I’d never heard of. The reviews were all glowing, with mentions of cooking meat right on your table. I was intrigued. So out we headed. Gaza is kind of out there, way out on Sagamore Parkway, just past McCormick. I’m pretty sure I’ve never been that far out that way before. The restaurant itself doesn’t appear to be much, just a nondescript little spot in a strip mall. Then you walk in and it’s actually quite swanky! Small, but beautifully decorated and very clean. Half of the restaurant is situated with booths and the other half has tables on what they call a “deck.” When you eat on the deck, you have to remove your shoes and sit on the floor. Technically you have a little chair, but the chair has no legs. When we arrived, all the booths were full, so we were offered to sit on the deck. Ever the adventurous ones, we happily agreed. So we immediately got to work cooking our meats, and it was a very good and filling meal. 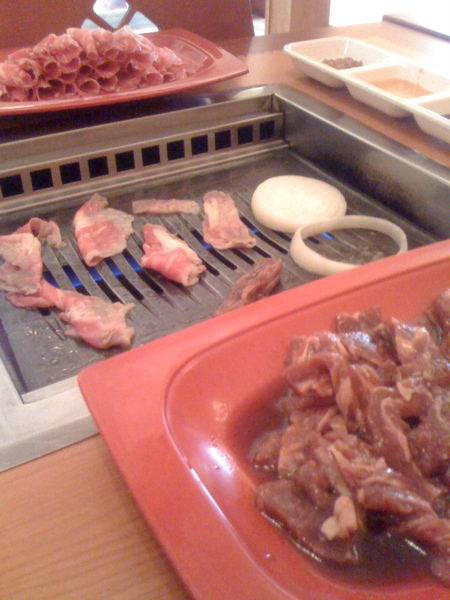 The meat was tasty, the sauces were good, and the process, though difficult at times with chop sticks, was quite fun. I wouldn’t want to go there every night, but it was a fun place to eat. The only downside was that they do not serve alcohol.